Skyfall is a metal band from Voronezh, Russia, formed in 2005 by two talented musicians, Alexander and Nocturne. 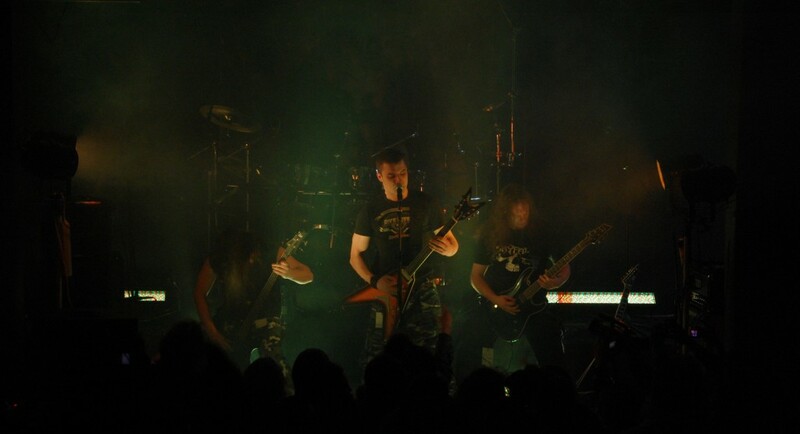 Since its inception, Skyfall has visited many cities and performed with such famous bands as Behemoth, Vesania, Neolith, Rasta, Ancient, and many others. Skyfall has 2 albums – “Bestiarium Pool” which was produced by Graillight Productions in 2011, and another album “Convenient God” which is coming in February 2013 by Fono Ltd.
Skyfall started playing in 2005, following the canons of sympho-black metal. Hints of death metal could already be heard in their first demo CD, and this trend continued with their subsequent albums. Their current style is a form of death metal, with shattering bass, tough guitars, fierce vocals, and thundering percussion. Aggression, anguish, power, and drive are the integral components of every note that this band produces. Professionalism at the highest level is evident in the quality of every performance. While listening to Skyfall’s lyrics, one finds oneself with a sense of melancholy, while the subconscious explores the hidden depths of despair. The lyrics complete the picture of the band’s art, creating a sense of inevitable retribution.